LUCENA CITY – The city election office here will be conducting roadshow as part of the preparation for the coming midterm elections for national and local political candidates. 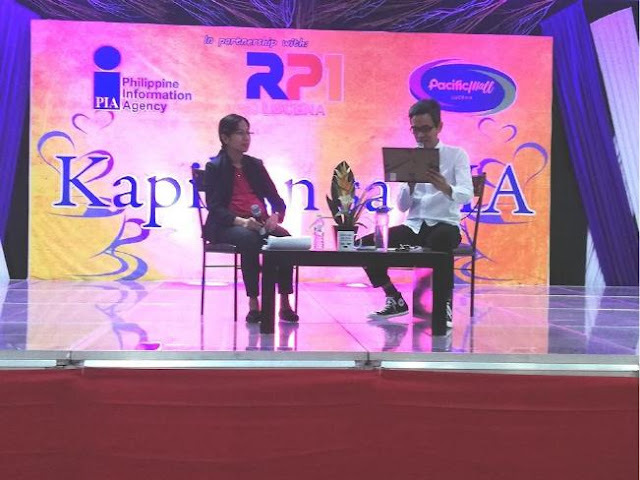 During the Kapehan sa PIA hosted by Phil. Information Agency head Lito Giron held at the Pacific Mall here attended by local media practitioners, city election supervisor Anna Marie Barbacena said they will be conducting tests for the vote counting machines to get ready for the conduct of elections on May 13. Barbacena said 1 vote counting machine is allotted for every 1,000 voters so voters will be clustered in polling precincts throughout the city in various schools where the voting will take place. There are about 165,000 number of listed voters in Lucena but about 2,000 has been ‘phased out’ for alleged double registration and other questionable listing such as those who have died recently but are still existing in the voters list, Barbacena told the media at the open forum segment of the Kapihan sa PIA, part of the agency’s program of information engagement with various government agencies and public personalities. There were no identified hot spot areas in Lucena and the media is urged to submit application to the local Commission on Elections office for media accreditation. “There will be no VIP treatment for the media and they must wear accredited media ID for coverage in the polling centers,” Barbacena said. She also said that they will be setting up hotlines for reports on vote buying and other irregular election practices before, during and after election day and there will be designated common poster areas for political candidates’ political information and propaganda materials. Political campaign for national senatorial candidates and partylist representative candidates starts on Feb. 12 while that of the local candidates from congressman, governor, vice governor, board members, city and town mayors and vice mayors, and city and municipal councilors will start on Mar. 29. Both the national and local campaigns will end on May 11 with one day break for the actual voting day on May 13.